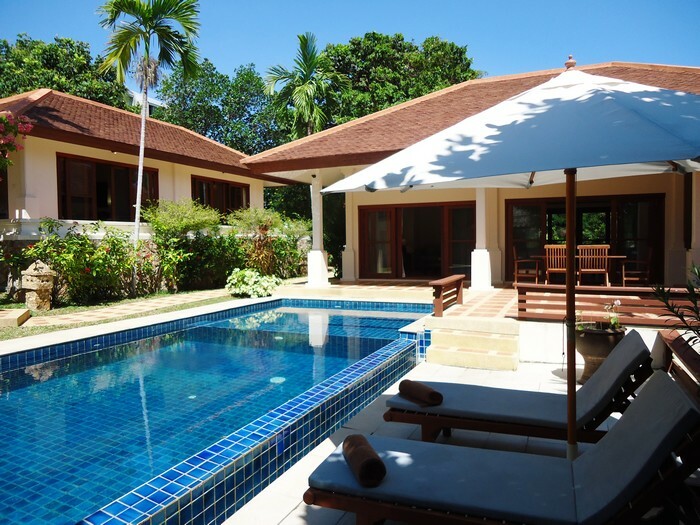 Complex of 10 garden view villas each with their own private swimming pool and car park, each villa has four separate buildings, if one includes the sala , and beautifully landscaped tropical gardens. 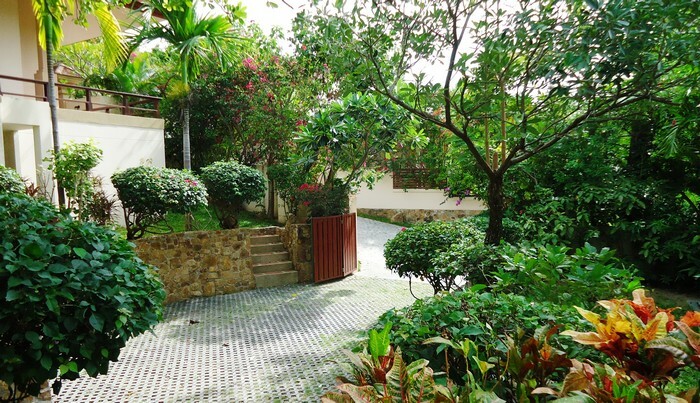 off the villa. 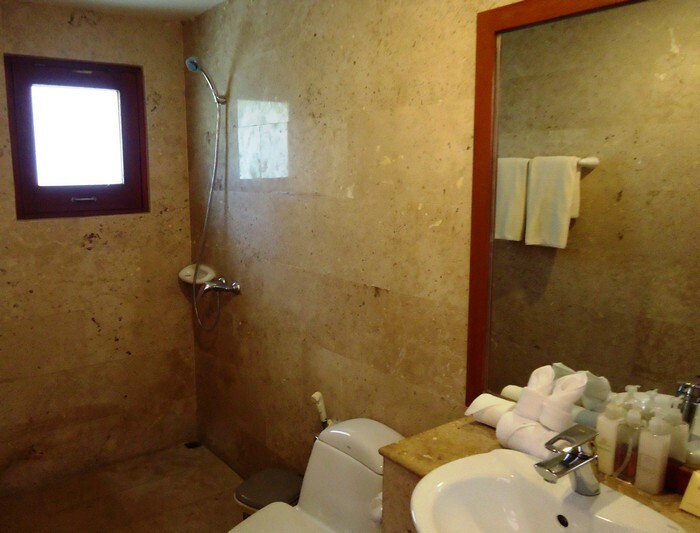 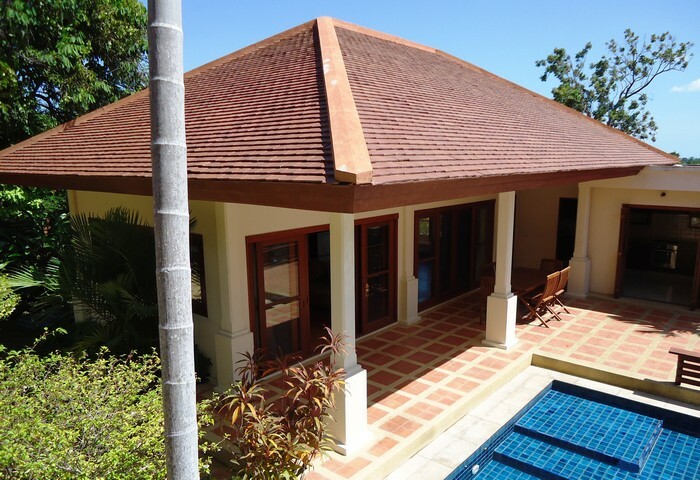 The villa has four separate buildings, if one includes the Sala, and a total living area of around 400 square meters. 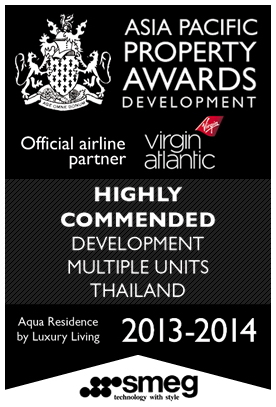 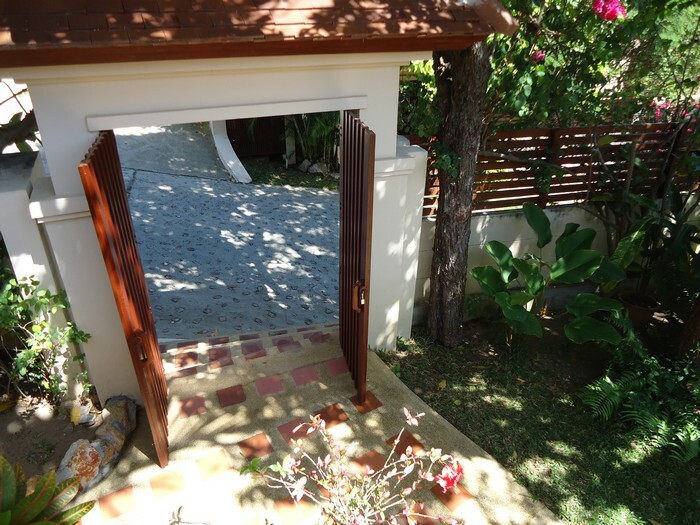 With 24 hour Estate security, the Villa is very safe and private and can be self- contained once the gates are closed. 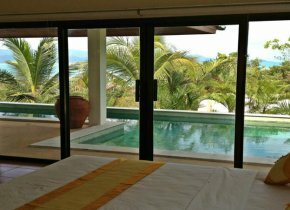 Because of the layout of the estate the villas are given enough space to not overlook each other thus ensuring a high level of privacy. 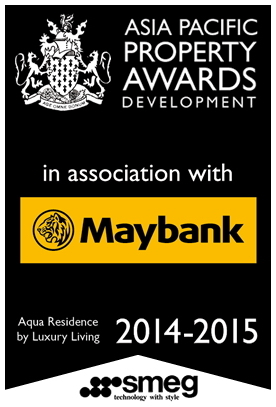 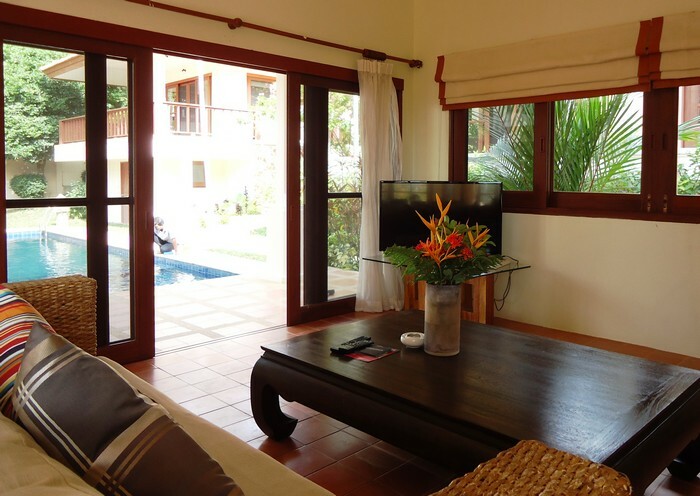 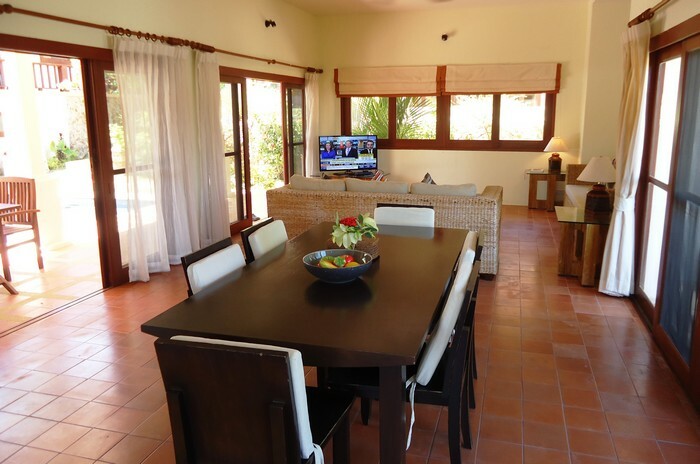 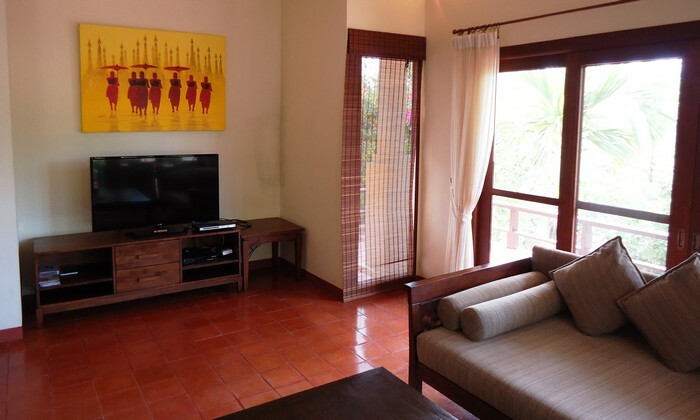 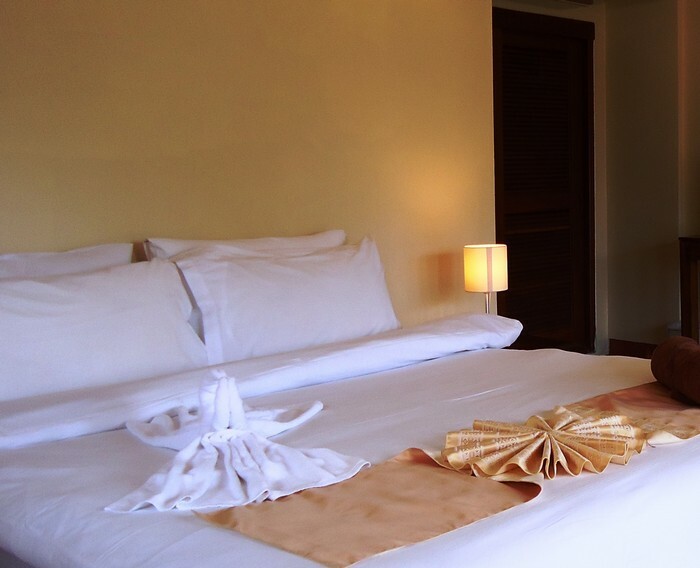 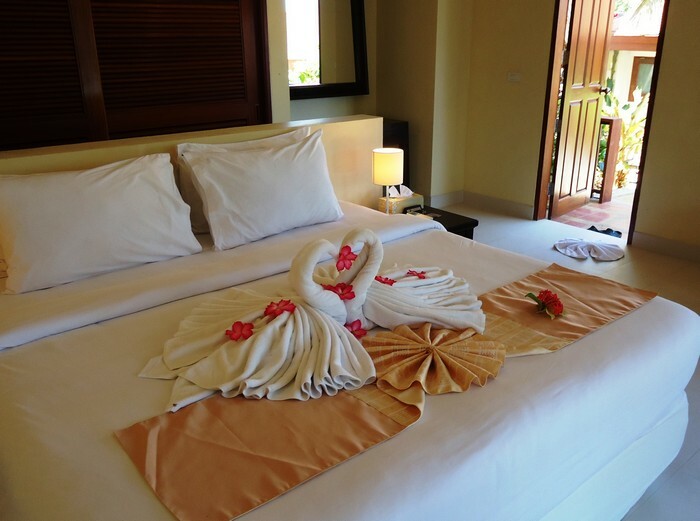 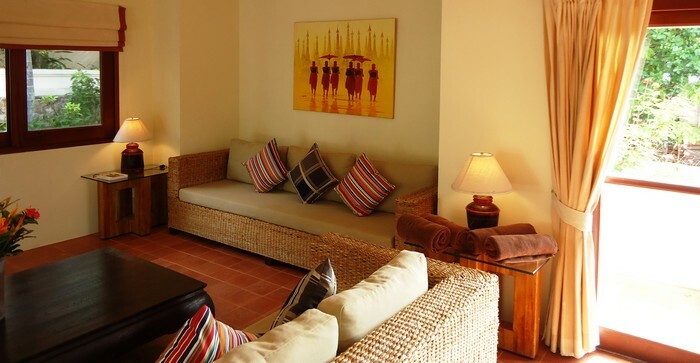 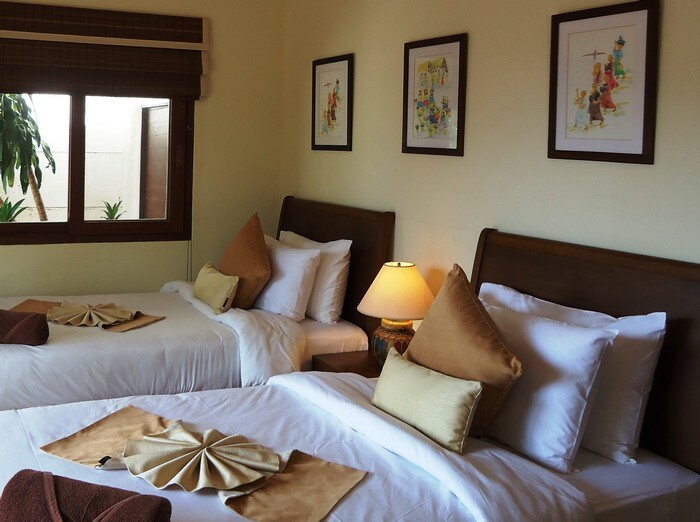 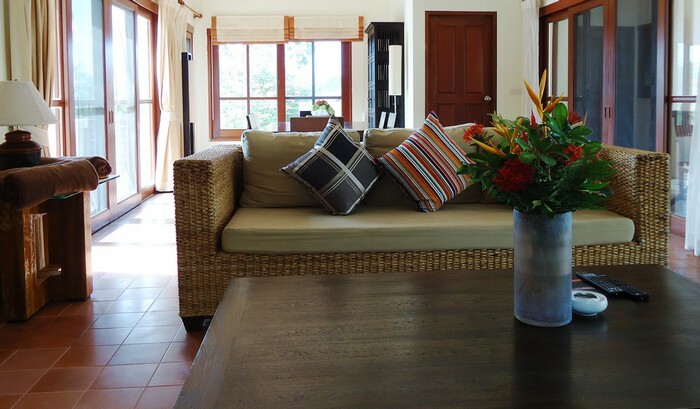 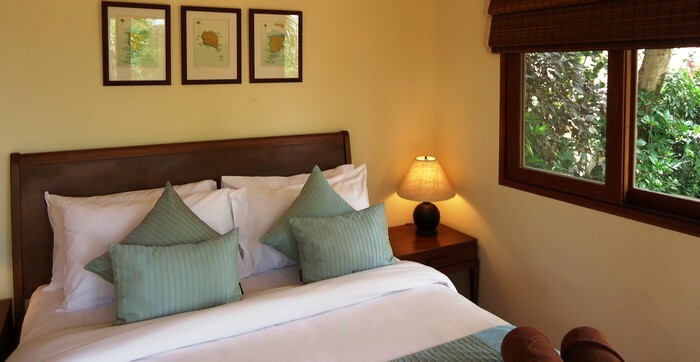 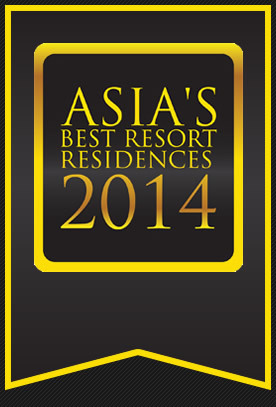 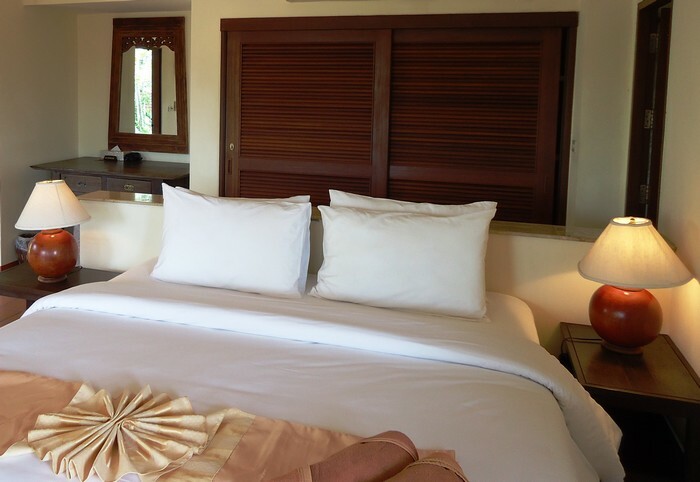 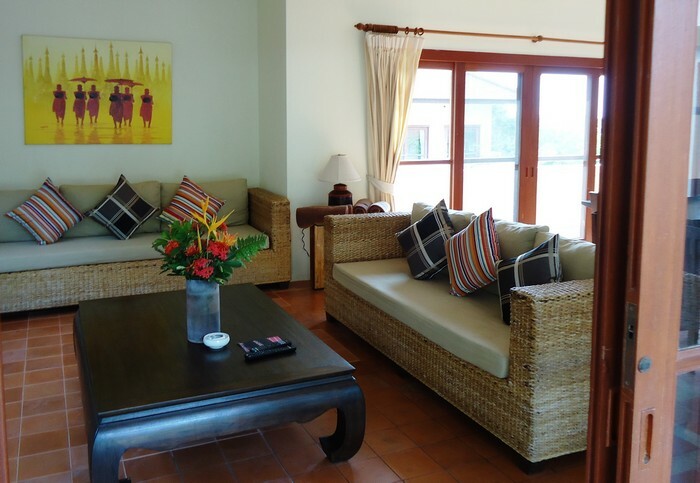 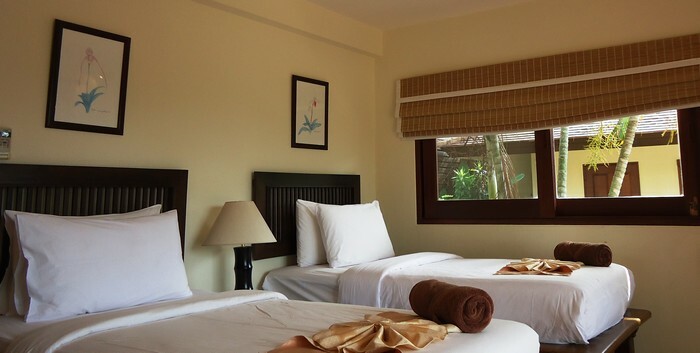 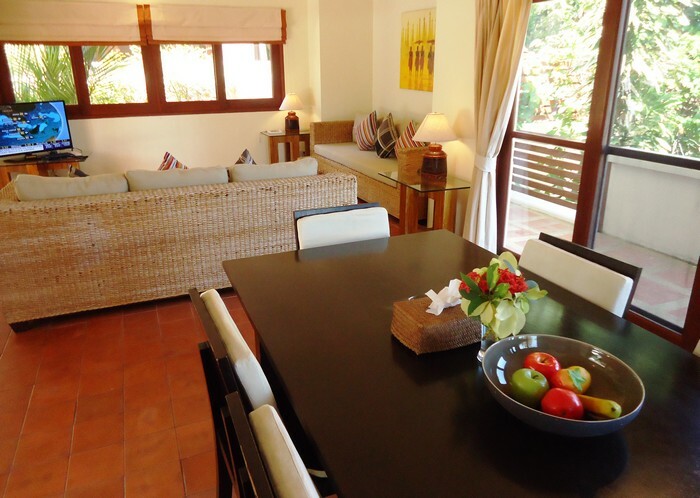 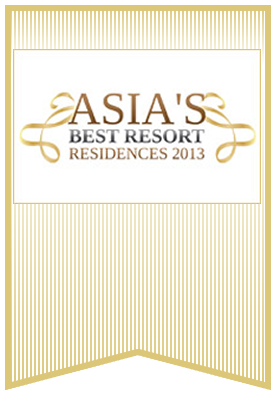 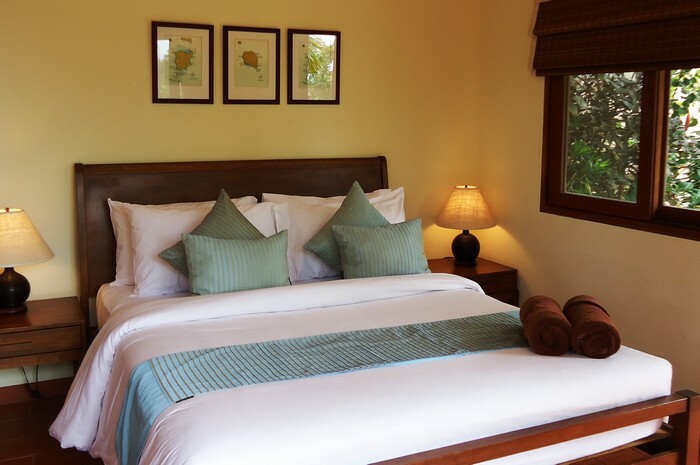 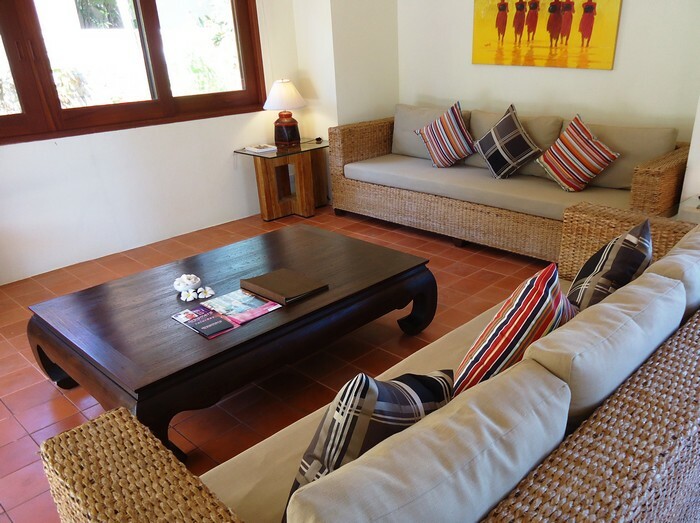 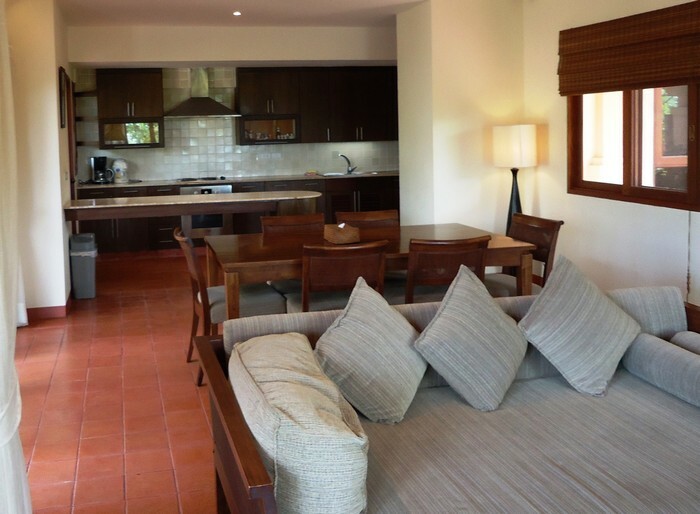 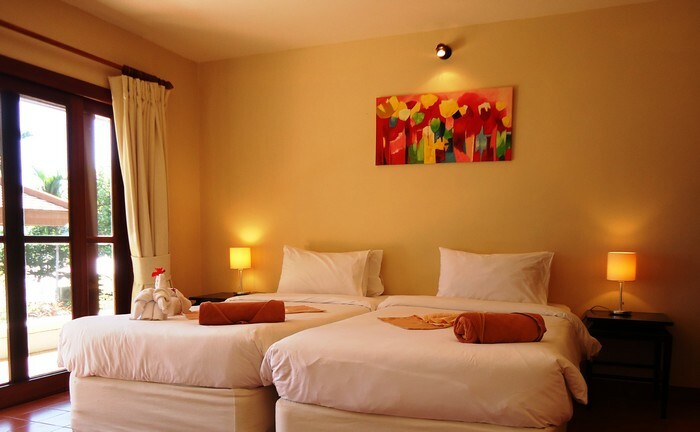 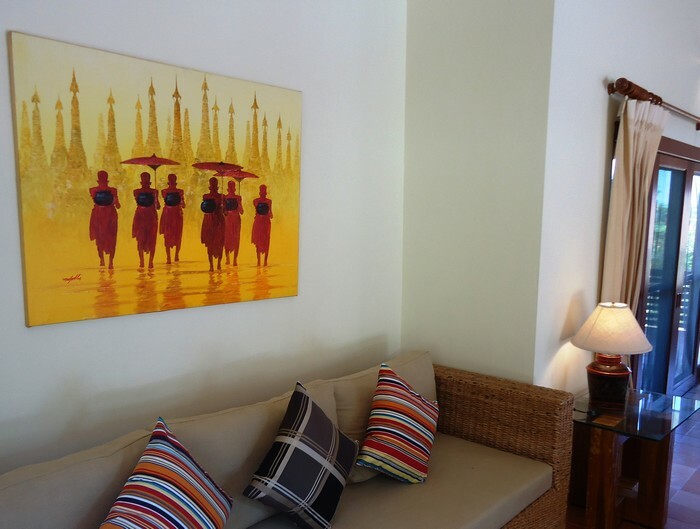 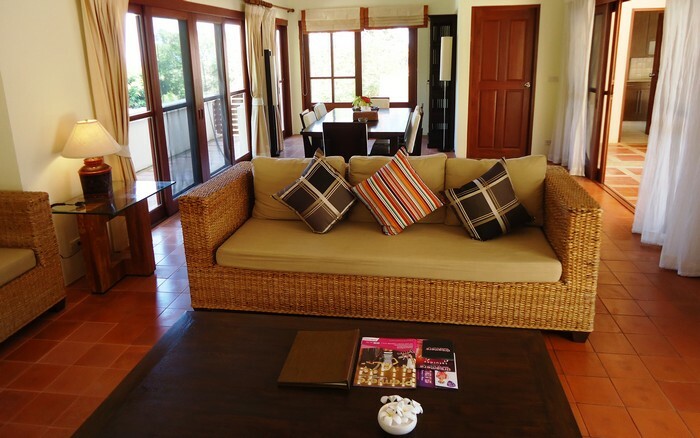 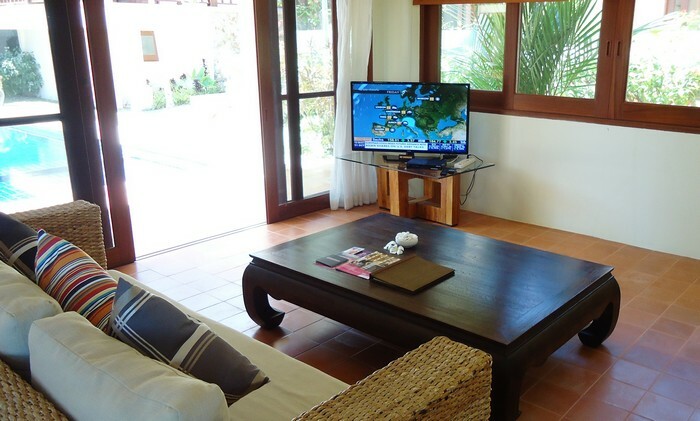 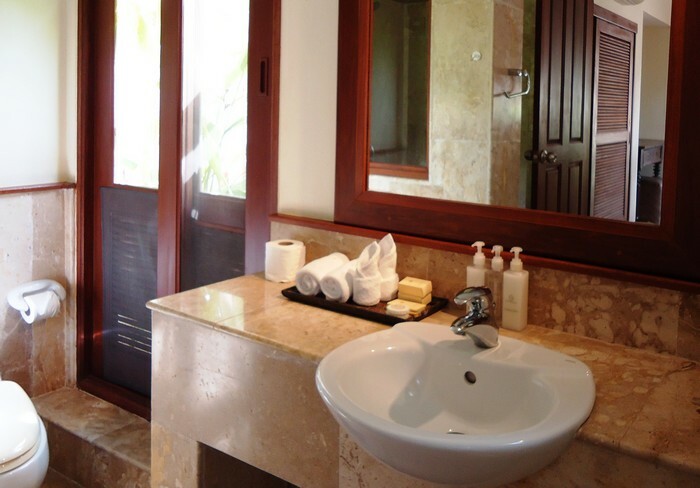 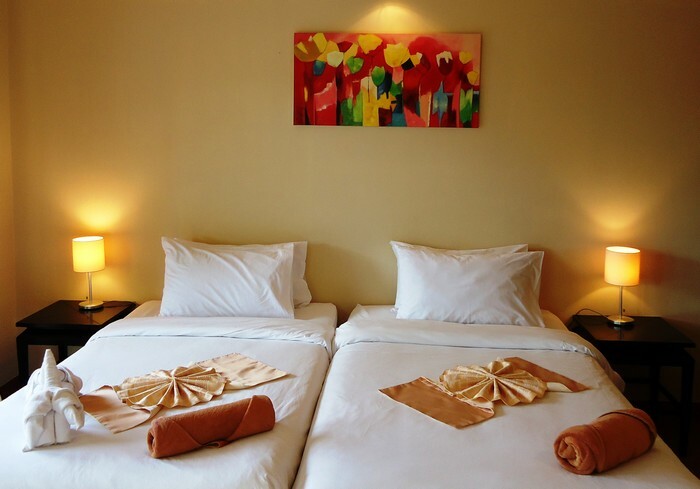 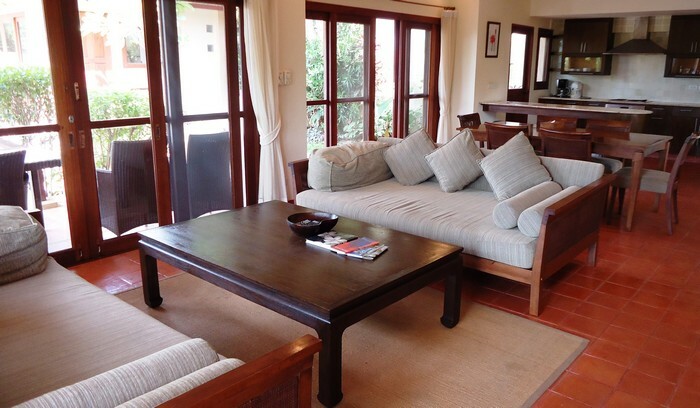 Each Villa has Cable TV, DVD player, CD playing capability and complimentary broadband Wi-Fi. 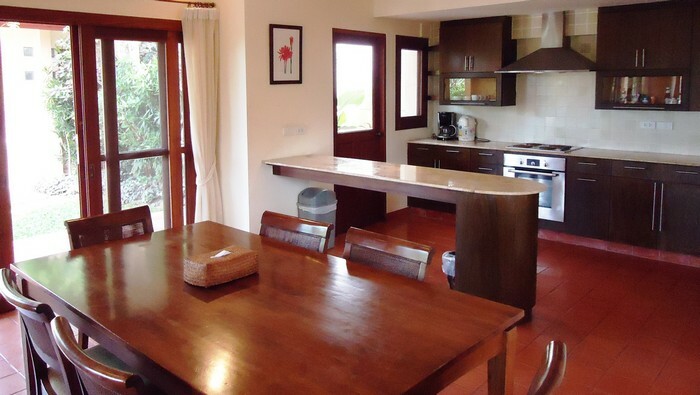 It also has a fully supplied kitchen with pots, pans, cutlery, crockery, glassware etc. 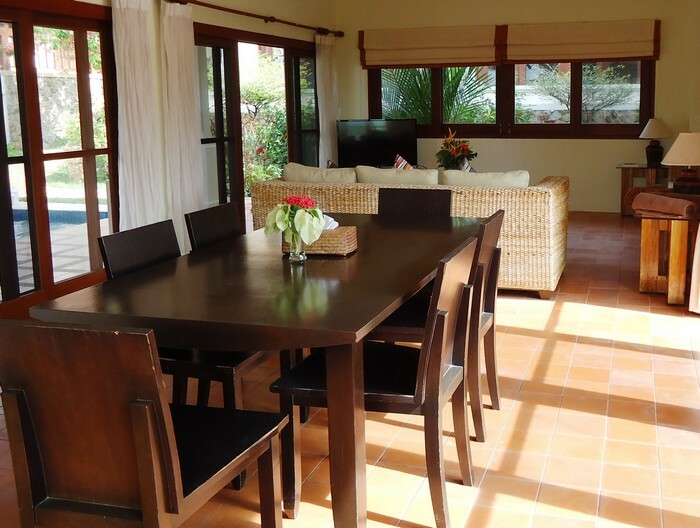 for 6 guests. 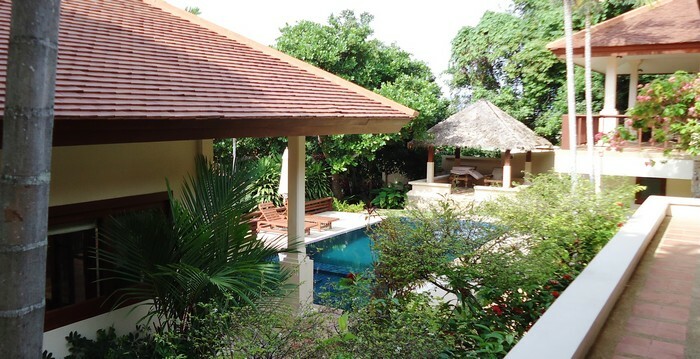 There is also a tennis court at the Estate which is free to all guests staying at the Villas. 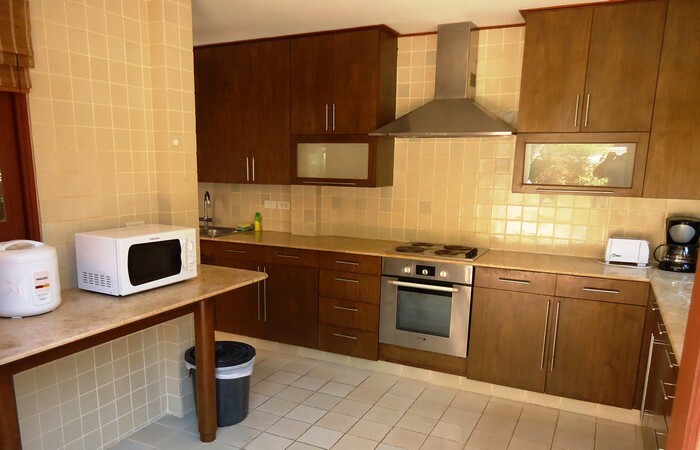 Tennis racquets and balls are available at the Estate office for a small fee. 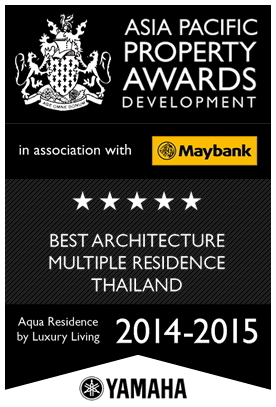 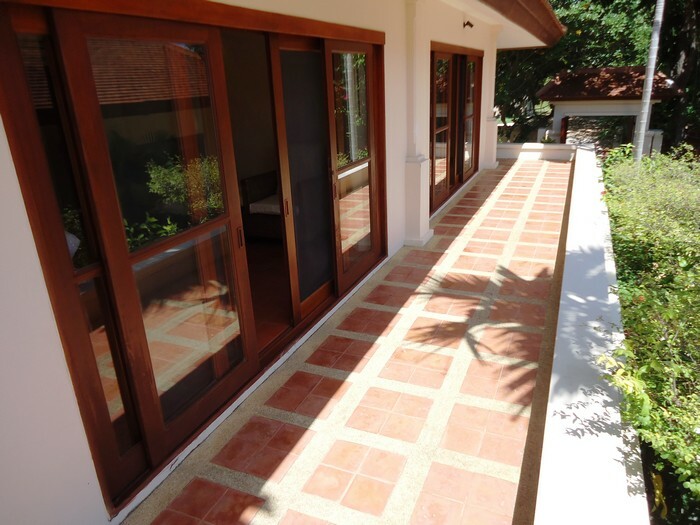 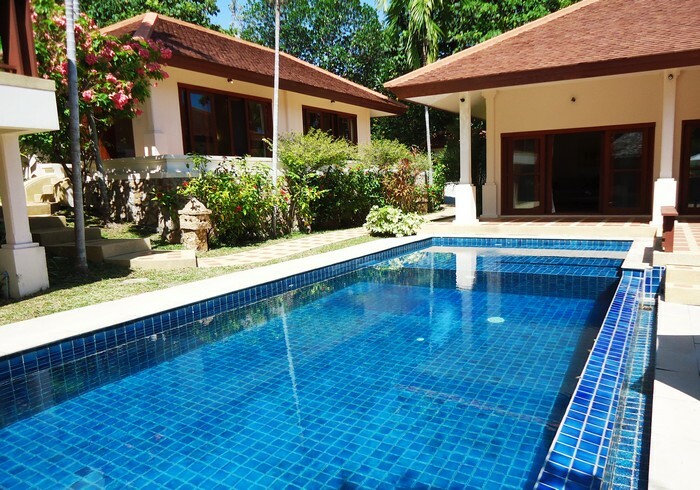 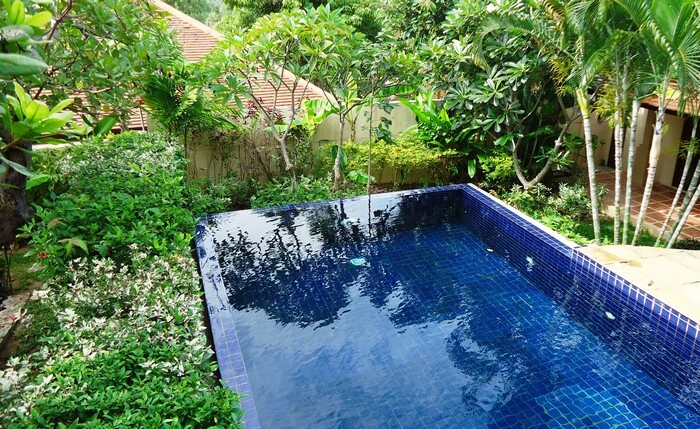 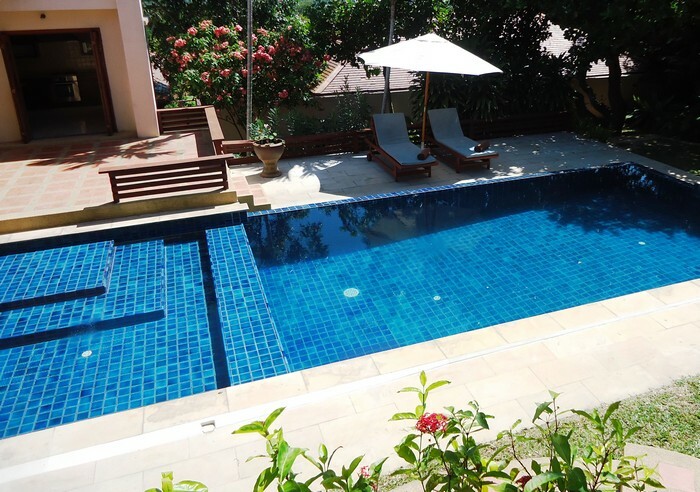 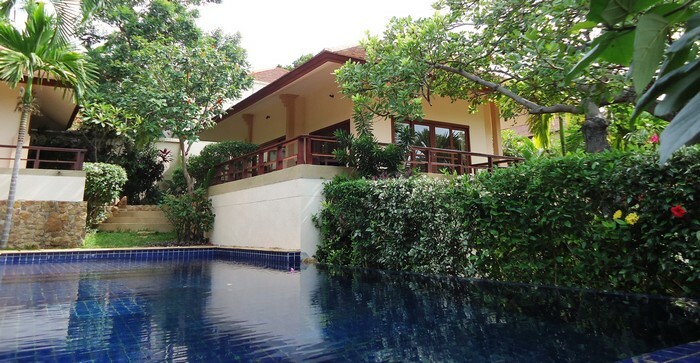 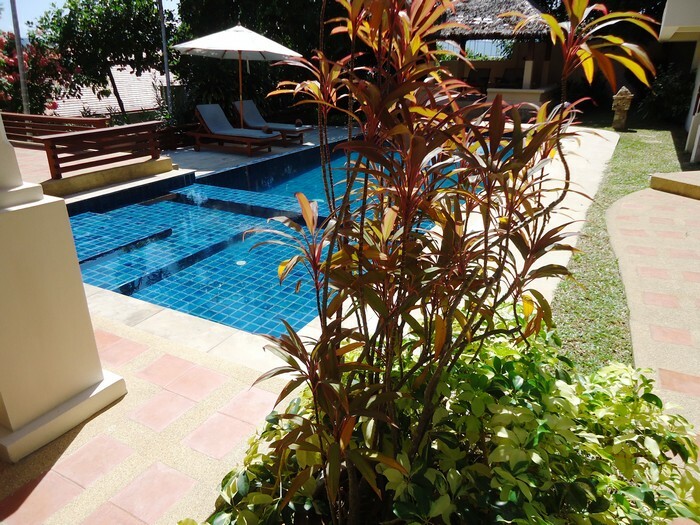 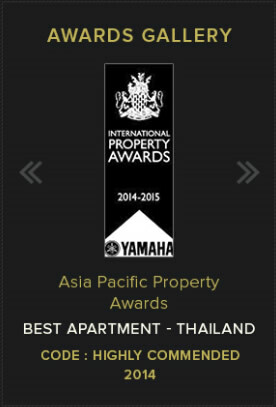 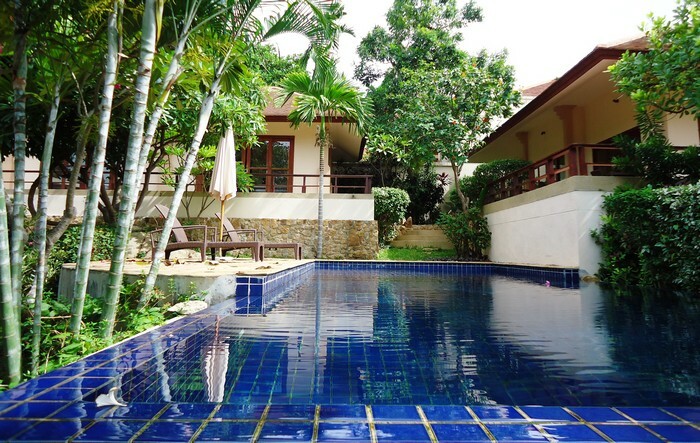 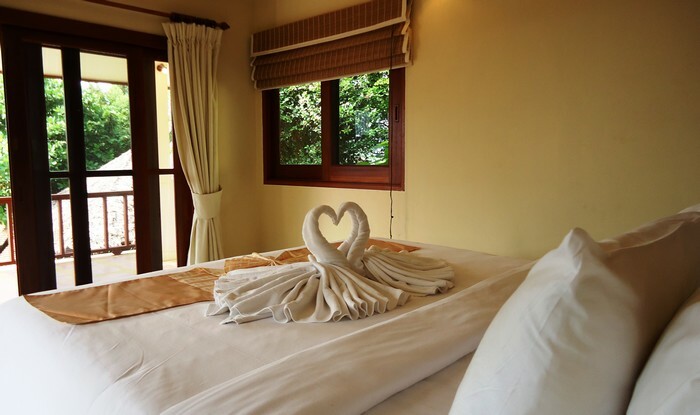 The Estate is set in a tranquil area of Koh Samui in the North East corner and the natural bird song and other tropical noises are very relaxing when lazing around the pool or just relaxing in the sala immersed in a good book.